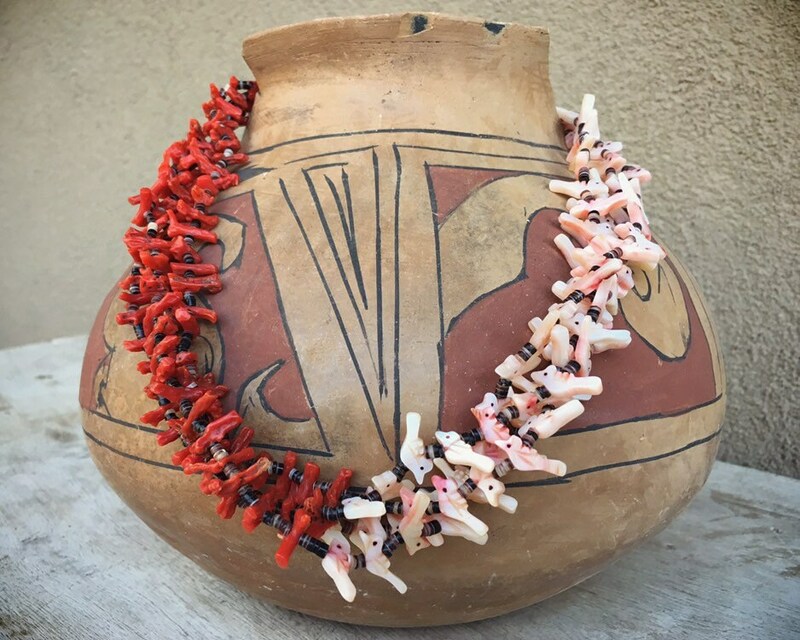 This vintage four-strand Zuni necklace comes from an old Taos, New Mexico estate, and we believe this piece is circa 1950s to 60s. 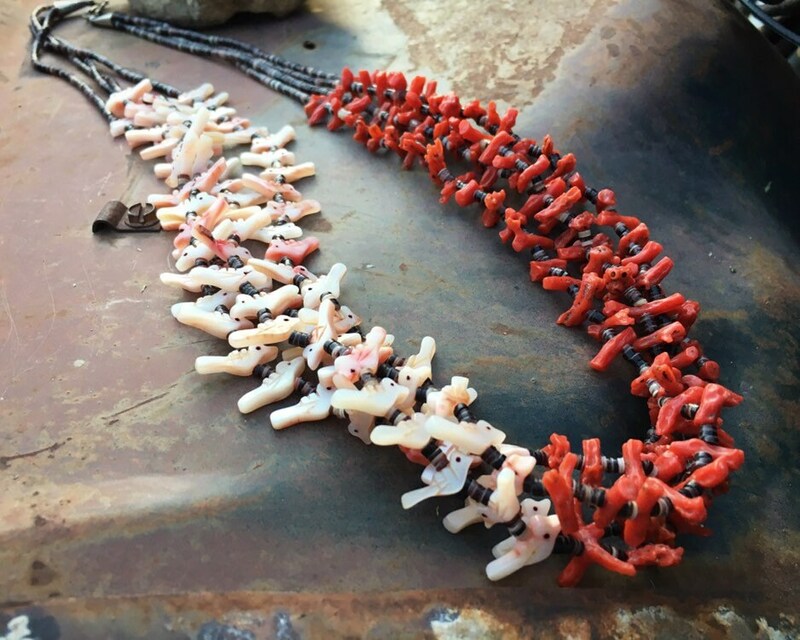 It's wholly unique with half of each strand featuring natural red coral tips and the other half with all hand-carved bird fetishes made from pink mussel shell. The slight variations in the carving of the birds tells us they are each handmade. There are about 86 fetishes total, and closer to 116 bits of coral. Note that the numbers are approximate as it's pretty hard to accurately count that many individuals pieces. 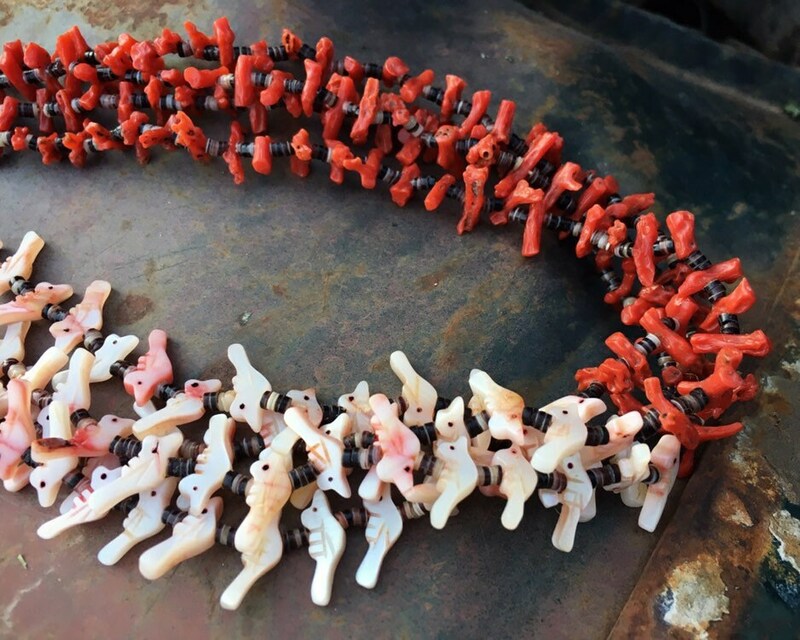 The coral bits are slightly smaller than the fetishes, which is why there are more of them, but the overall effect is one of both balance and intrigue. 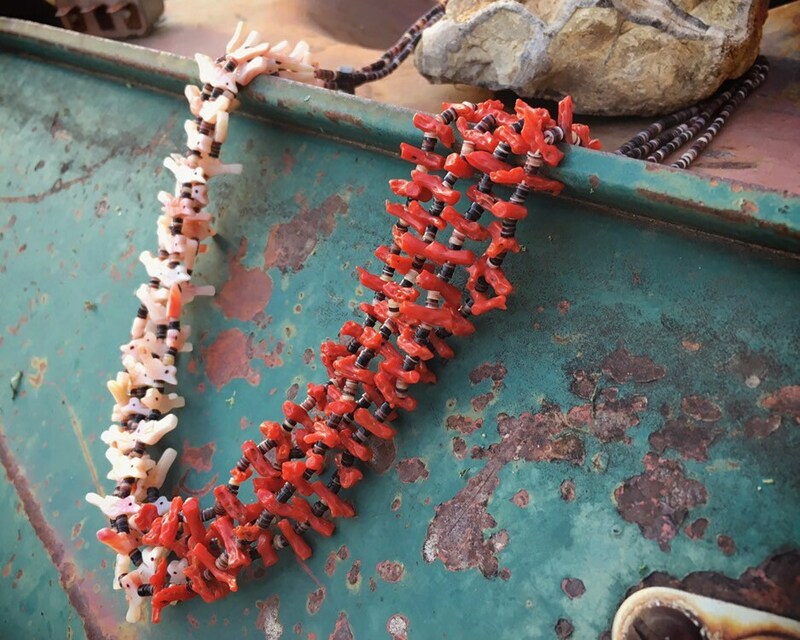 It takes a while to register that one side is fetish and the other natural coral, and so one is drawn into the piece, wanting to look up close and see what exactly is going on. And it is that distinctiveness that makes this a statement necklace. 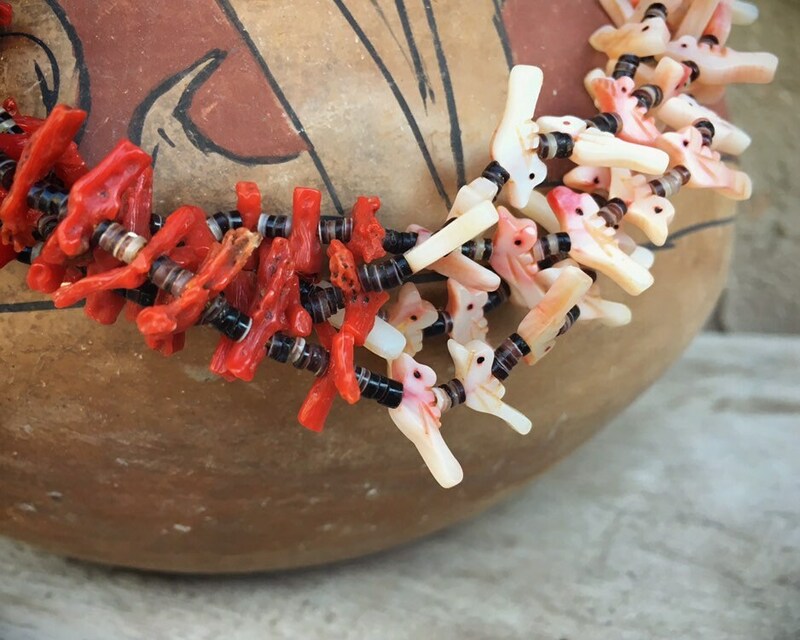 Dark olive shell heishe separates the fetishes and coral bits and is used to finish off each strand, and the four strands are capped on each end with sterling silver cones. 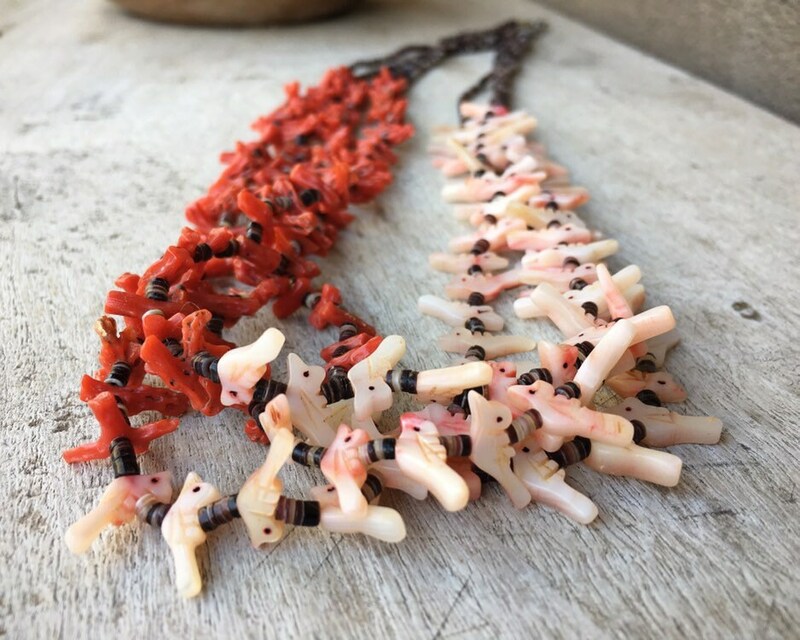 The bird fetishes are just about 1/2" wide each, mostly slightly wider, and the coral bits are typically shorter. 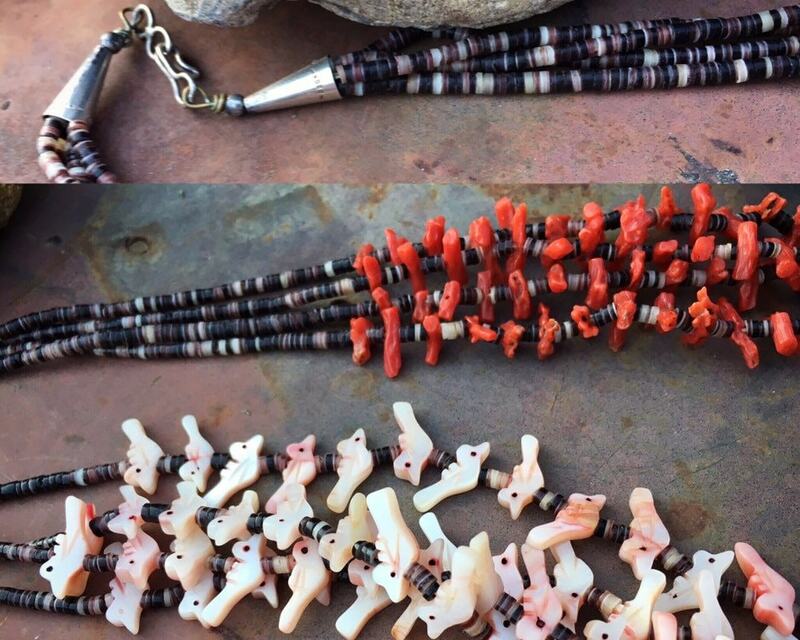 The necklace is just under 27" tip to tip. In good vintage condition. 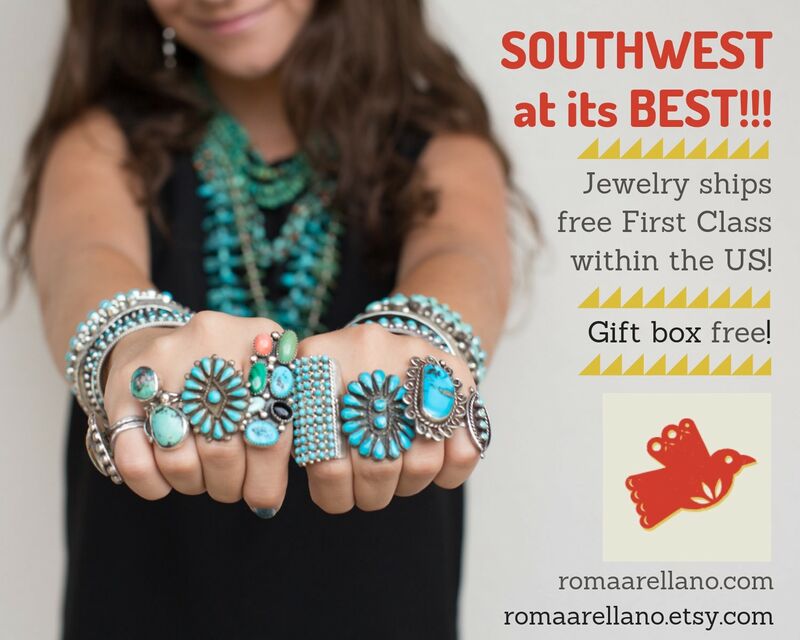 The perfect gift for the person who loves one-of-a-kind Native jewelry.